Ideal for corporate retreats and events. Great environment for workshops. Kawau Lodge is located in North Cove and overlooks one of the most sheltered anchorages in the Hauraki Gulf. All accommodation is self catered although a chef can be organised if required. Kayaks, paddle board and dingy’s included for use. You get magical views, great places for you to sit and relax plus there are lots of other areas around the property where you can relax and read a book or just enjoy the tranquility. Guests can also enjoy the many outdoor areas around the gardens and decks. This is the perfect place to spend the holidays with family and friends. Rooms: 8 super king rooms or 8 rooms with twin king singles, 5 bathrooms a cabana bar and gym. 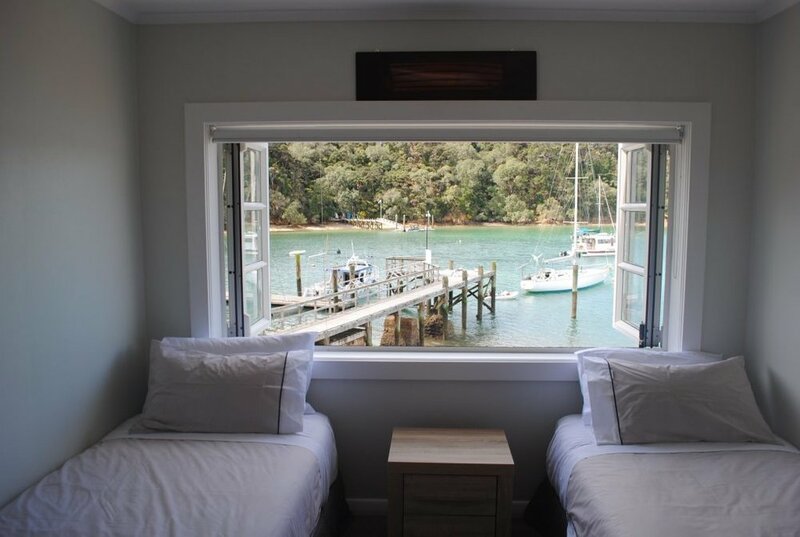 Book through the Kawau Lodge website here. Alternatively contact us by email or our enquiry form on our contact us page. The Lidgard House is owned by the Royal New Zealand Yacht Squadron. This historic beach house has recently been refurbished. 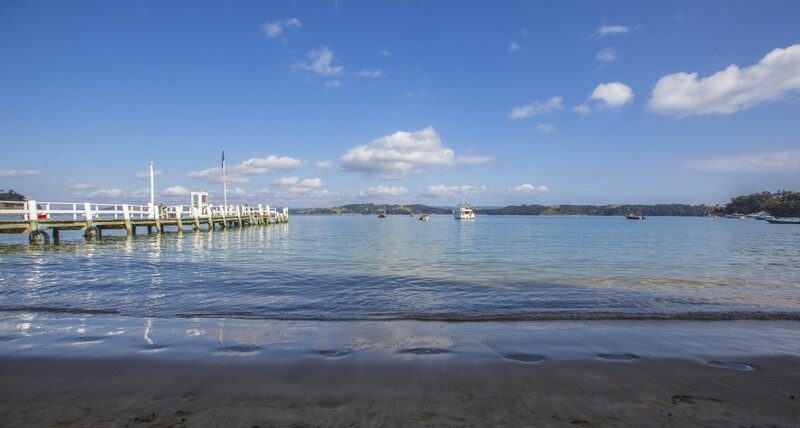 There is a BBQ on the deck which looks out to School House Bay and for those who don’t want to cook, the Kawau Boating Club is just a short walk around the boaties path. The house and garden can also be hired for corporate functions and weddings. 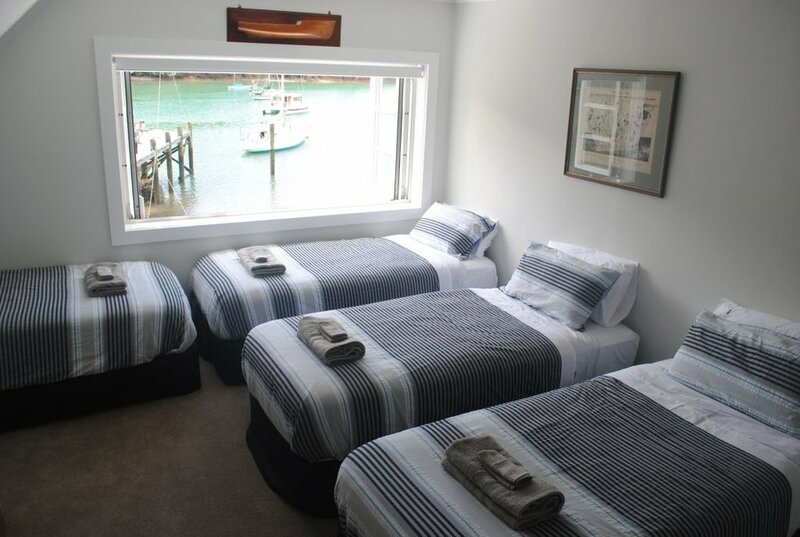 Rate: $350 per night for RNZYS members and $450 for non members, minimum 2 night stay. Rates are subject to change so please check first. Kawau Beach House is a unique lodge nestled on the edge of the crystal clear waters of Vivian Bay. We offer boutique beachfront, courtyard and bush cottage accommodation in a quintessential New Zealand setting of native bush, birds and pristine beaches. Our island accommodation consists of 11 well-appointed rooms each with their own ambience and style. We use premium linen and furnishings throughout. Our guests can enjoy Kayaking out onto the sheltered bays, go snorkelling, fishing, bush walk or just simply relax with a good book and unwind. Hear the calls of New Zealand’s native birds – tui, fantails, wood pigeons, and kingfishers and, as night falls, the sound of moreporks and kiwi. The friendly weka will entertain you as they forage near the beach. As night falls the skies open to showcase the stars. No light pollution, no roads, and no cars – just exquisite décor, stunning ocean views. Our fully licensed restaurant boasts fine dining standard cuisine prepared using ingredients from our garden and local producers. Our chef regularly changes the menu focussing on seasonality. A sumptuous breakfast is included in the tariff when booked directly. We specialise in boutique weddings of up to 60 guests and emphasise on personalisation through all aspects of the day and can accomodate up to 23 guests. 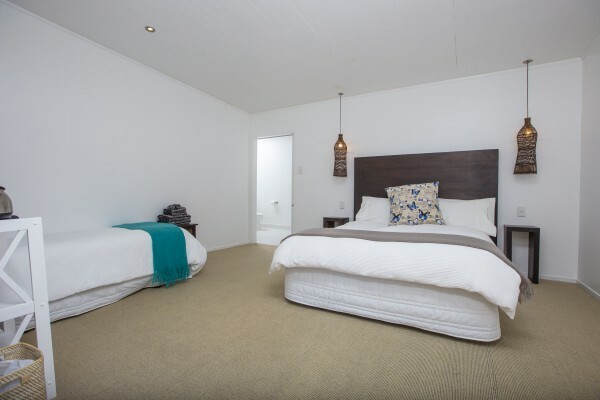 If you are wanting to host a conference or to take your board members somewhere special then The Beach House with it's accommodation is the perfect place to get away from all the distractions. The Beach House is the perfect spot for a conference, birthday party or other special event. Learn more. Booking also available through the website. This beautiful spot is right on the water in Bon Accord Harbour with its own all-tide jetty and boat mooring. Enjoy views out over the water from the well appointed decks. Great stereo, Sky TV, lots of dvds. Walk to the Boating Club along the foreshore at low tide or through the bush.Three bedrooms, two bathrooms, plus outdoor shower. Very well equipped kitchen with all amenities. Not available for parties or large groups. Rooms: Two bedrooms with king beds, one bedroom with 3 singles. Rate: $350 per night for up to 4 adults, extras $50 each. This compact designer cottage, surrounded by expansive decks, is situated in one of the most protected coves on Kawau Island. Sheltered by beautiful pohutukawa trees which are home to a great array of native birds, you can dive into the water only steps away from of your bedroom. The house is completely outfitted with linens provided. Firewood is stacked to fuel the potbelly stove up for those who like a winter getaway. The main house sleeps four. But should you wish, This home is not recommended for children under 4 due to foreshore location. Rate: $300 per night and for $50 per night two extra people can share the separate office/guest room. Kawau Island Hideaway at South Cove. A cosy wood- burner fire, BBQ and inside or outside dining all makes for a relaxing or romantic stay. Ridge-top modern new home with views of Auckland City, Rangitoto and Whangaparoa. Fish off the rocks or wharf, just a 10 minute walk away. Large deck and golf-cart transport from the wharf. Regular ferry/watertaxi from Sandspit.A beautifully quiet place. No neighbours to be seen, great outlook, wonderful seaviews… you can almost feel you are the only one on the island… a totally relaxing place to be. (Children must be 10 years old or over to stay at this home). For a time of peace away from the bustle of city life. Go to sleep listening to the moreporks, awaken with the tuis. Easy bush walks, 20 minutes walk to Mansion House Reserve. Fish from the wharf. Wonderful swimming, or just laze and watch the boats go by. Comfortable accommodation, full equipped kitchen, BBQ. Suitable for a couple. Easy access. 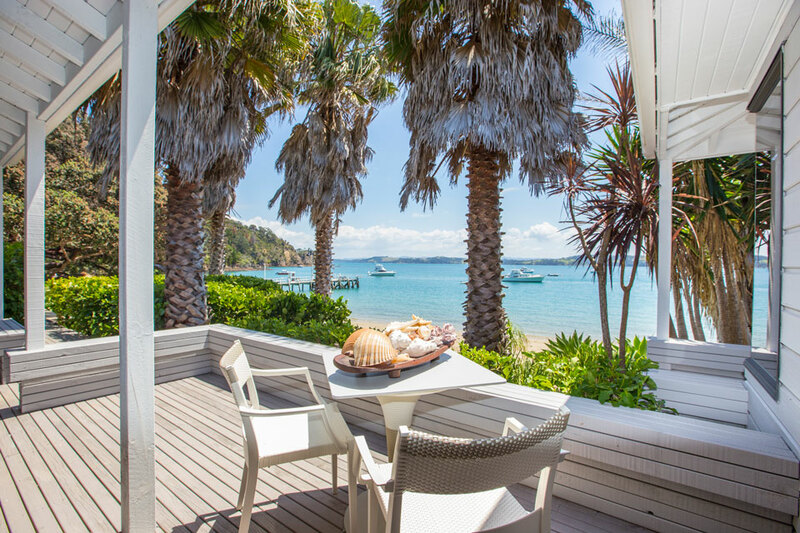 Escape to Kawau Island and experience one of those homes that will leave an impression for a lifetime. Broad interiors graced with the furnishings usually seen in Vogue Magazine, dramatic vistas capturing breath-taking sea views, a swimming pool, hostess kitchen and 3 bedrooms. When you arrive the wharf, there is a golf cart at the property for the guests to use to get around with their luggage. Walking along the wharf to the end and turn left you are at our beautiful holiday home.